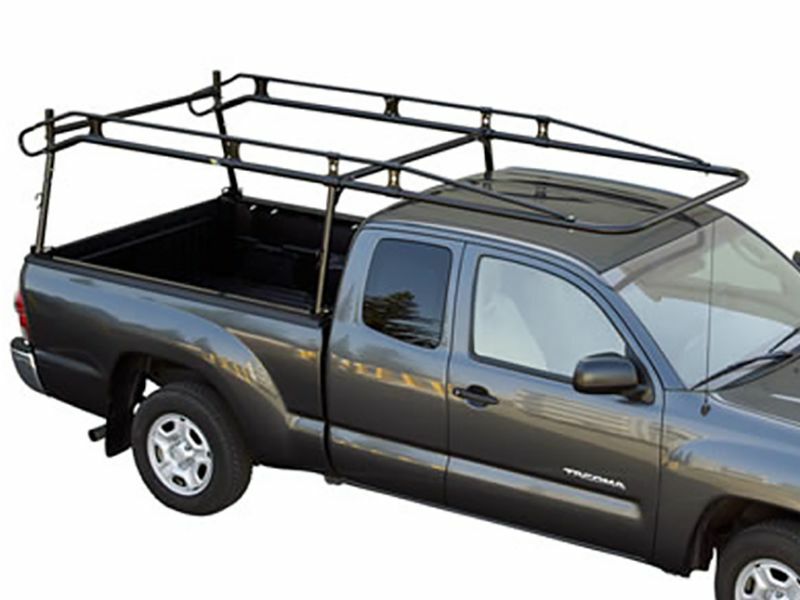 The Kargo Master Pro III truck bed rack is available for all full size and midsize. They are all constructed of high quality materials and given an industrial strength black powder coat finish. The frame is constructed of 1 5/8 inch high tensile round tubing with fully gusseted cross bars for increased strength. The round tubing helps cut through the wind for more efficiency. Providing less drag and wind noise. All Kargo Master truck racks are coated with a zinc primer before being given a marine grade black powder coat finish that will not fade, rust, or dull. The Pro III truck rack features a 1,000 pound cargo capacity allowing users to safely handle the largest loads. Rugged 17 inch long mounting plates ensure the cargo rack is securely fastened to you truck bed. High strength side rails keep cargo from shifting off the rack and their contoured design form safety grab handles. Kargo Master uses yellow zinc fasteners that will outlast standard white zinc fasteners used in other truck racks, and the nylon self-locking nuts will ensure your rack stays tight. Kargo Master's Pro III truck rack also features a removable (no tools required) rear cross bar to allow easy truck bed access. All Kargo Master truck bed racks feature a limited lifetime warranty. Install the Kargo Master Pro III rack without any expensive tools! Each order comes complete with everything you need. Call 877-216-5446.